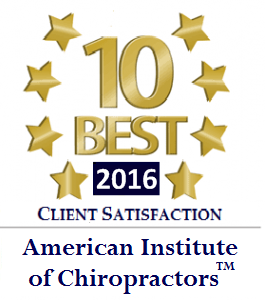 Thank you for taking interest in Drobnic and Associates Chiropractic. It’s been my pleasure to serve the Ft. Myers community for the past 30 years. In this time we have worked with many wonderful people who have benefited from our care. It’s our goal to provide a diversified natural approach to many of the healthcare issues that face our community. Supported by a well qualified staff we pool our resources to positively impact the lives of our patients, their families, and our friends. Victor Drobnic is a third generation American of Slovenian descent from Cleveland, OH. He became aware of his gift as a healer after years of practicing as a massage therapist and sports trainer. 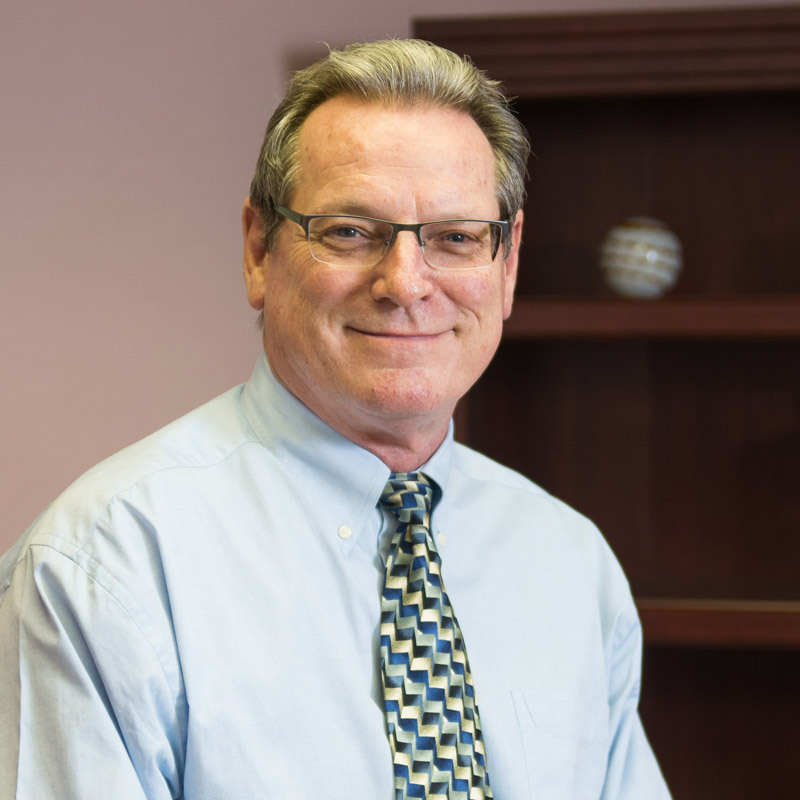 He pursued his course in study and graduated from Logan College of Chiropractic in 1980 earning a Bachelor of Science Degree in Human Biology, Doctor of Chiropractic Degree and Certification in Acupuncture. In his post-graduate studies, he achieved certification in Cox Flexion Distraction Technique, Thompson Technique and Graston Technique, as well as certification in Spinal Diagnostic Ultrasound and Manipulation Under Anesthesia. 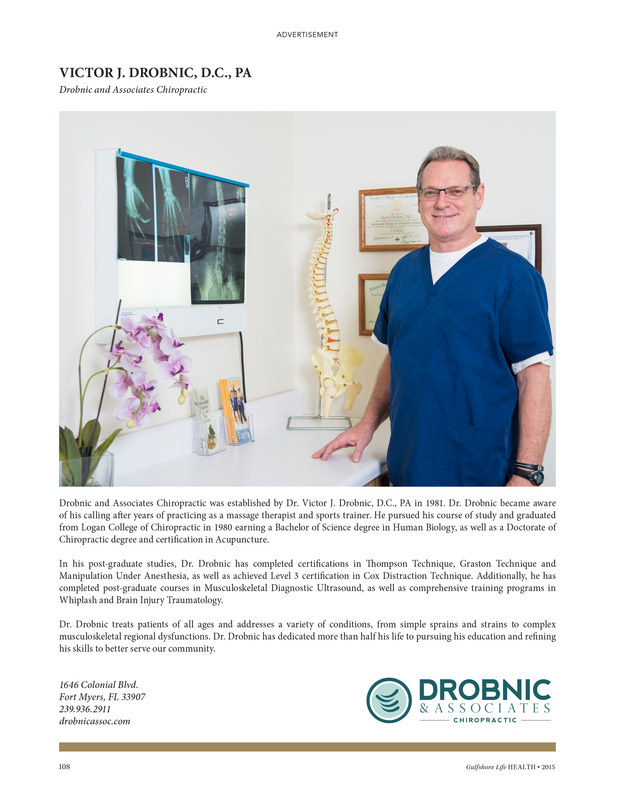 Dr. Drobnic has dedicated more than half his life to pursuing his education and refining his skills to better serve our community. 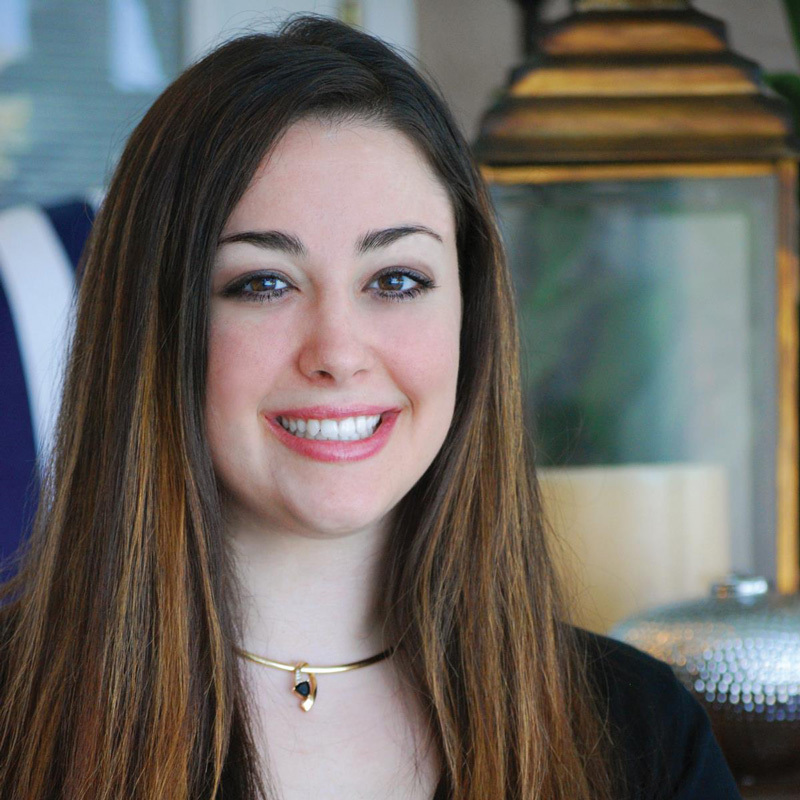 Christina has been with our team since 2004 and is the Clinic Administrator. She graduated from Florida Gulf Coast University with a Bachelor’s of Science in Nursing Degree (BSN) in 2010 as well as a Master’s Degree in Business Administration (MBA) in 2015. Christina is a Registered Nurse (RN) with experience working on Cardiac Progressive Care and Medical/Surgical Oncology Units. Christina was previously affiliated with Heritage Institute as an instructor within their Hospital and Health Services Administration Program, and currently holds a position with the organization as an Honored Advisory Board Member. Christina is a Certified Basic Life Support Instructor through the American Heart Association. Her main focus is expanding the clinic through introducing new vendor and service opportunities that will serve to enhance the well-being of our patients and local community members. 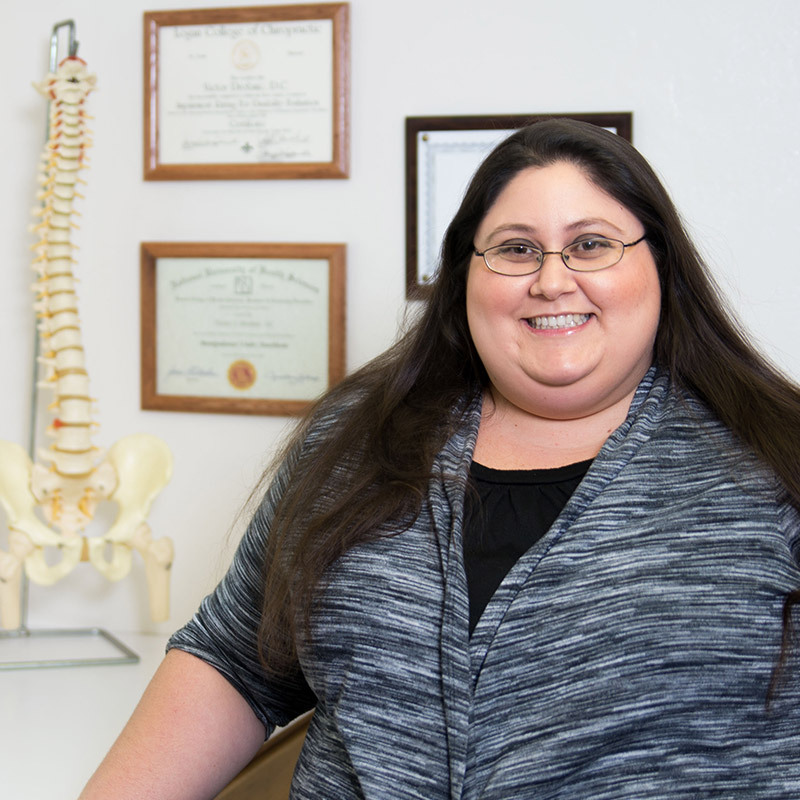 Melissa has been with our team since 2014 acting as a Registered Chiropractic Assistant and supervisor of the clinic Medical Records and Billing Departments. She is currently studying to complete her Bachelor’s Degree in Business Administration, and is pursuing her Medical Billing and Coding Certification in order to become a Certified Medical Biller and Coder through the American Academy of Professional Coders. Melissa frequently travels between Florida and Tennessee, and enjoys spending time with her family and friends. We treat a wide variety of cases and our patients are of all ages. 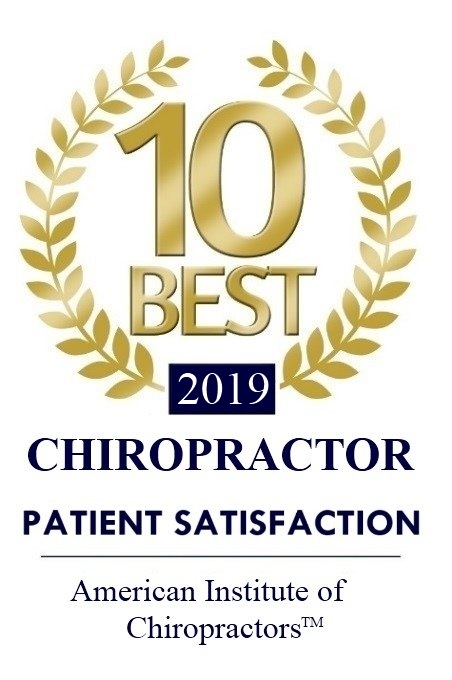 We treat chronic conditions such as degenerative age related life long pain as well as acute accidents/traumas related to automobile accidents, sports injuries, falls, and work related accidents etc. We treat everything from the most minor playground injury for a child to those of the career threatening injury for a professional athlete. What is the Cox® Technic (Flexion-Distraction)? What rehabilitative and nutritional supplies do you sell? What conditions or injuries do you treat?